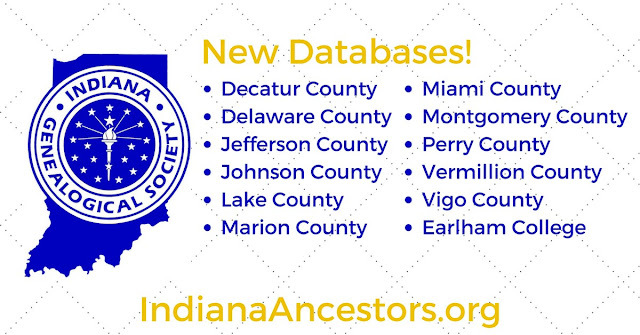 Have you seen the latest databases added to the Indiana Genealogical Society's website? There are now 2,085 databases, with at least 9 for each county. Here are the latest. Note: All of the databases listed below are available to IGS members. Not a member? Join today! Click here to log in and access all of the County Records databases on the IGS website. Click here to log in and access all of the College Records available on the IGS website.